We just wanted to say thank you so much for your service on Saturday. Your campervan was absolutely brilliant and everyone loved it. Your lovely driver Caroline was absolutely amazing. If it wasn’t for this kind lady then we would have got very wet! She ensured that the bridesmaids, groom and I were sheltered at all times and she was so helpful and kind. The whole experience was amazing and we are very grateful. Timings were also spot on if not too generous at how long the campervan was with us and how early it turned up to collect us! Just fantastic, thank you. I just wanted to say a big thank you for allowing us to hire Vintage Rose for our wedding! Rose was beautiful and a real treat, we had so many compliments on her and I know a few people came and asked you all about her. 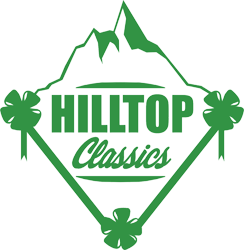 The service was excellent and very professional and I cannot recommend Hilltop Classics enough. We were very sad to have to leave Rose as she was so amazing but I can’t wait to see all the pictures we had taken with her! Thanks again. We had the camper vans for our wedding and it was such a highlight! They looked fabulous and our drivers Paul and John were so relaxed and lovely it made it so special! Can’t thank you enough! Just wanted to say a big thank you for bringing Mr Benn to collect our daughter and her bridesmaids it was wonderful. If at any time we could recommend your company we would be happy to do so. Thank you so much for the campervan, it and Caroline really helped us relax and enjoy the experience. My daughter was as pleased and excited as the Wedding pictures show. Would just like to say a huge thank you for making our day that little bit different and personal to us with Mr Benn. We loved having him at our wedding, as did our guests. Absolutely love the campervans, they are stunning. My friend also used your company for her wedding in the Summer of this year and had nothing but praise for you. I just wanted to drop an email off to say thank you - I loved every second of being in the campervan they are beautiful! Really made our day! We had Jessie for our wedding and honeymoon. She looked stunning dressed in her ribbons and bows. Such a great adventure and Jessie was admired everywhere we went, she was fantastic. Just want to thank you for your excellent service and your generosity with your time, we were all impressed that you didn’t just drop Grace and Elliott off. The car was stunning. Hope you got some nice pictures and wishing you all the best.